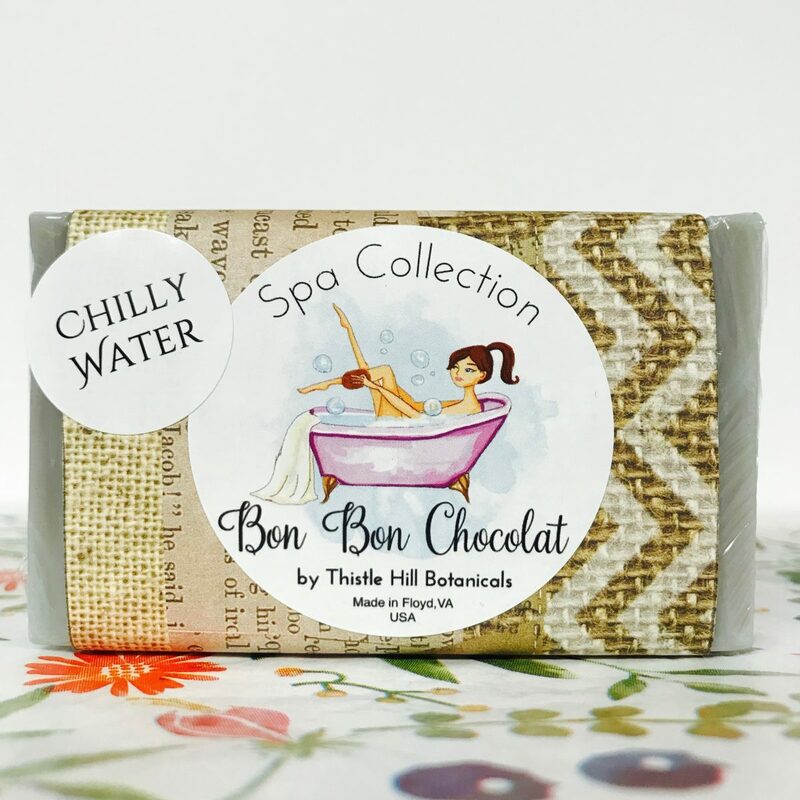 Goat’s Milk Soap Chilly Water Scent. This listing is our Chilly Water which is sweet and a bit spicy! 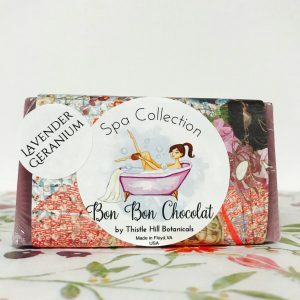 Our soap contains GREAT stuff! Hemp Oil, Coconut Oil and Shea Butter. If you are old enough you might remember hearing this: “Manly yes, but I like it too” well, this statement fits perfectly. Originally this was created for men and men love it! Well, women love it too! Our Soap is FREE of Sodium Laureth Sulfate! Rest assured that we use the best quality natural ingredients we can find. These bars suds up very nicely and leave you feeling clean and fresh. Goat’s milk has a high level of protein, your skin will thank you. Our bars are approximately 5 oz. 🙂 Packaged as shown with an ingredient label on the back. *Lavender-Geranium – Classic French Lavender and slightly Rosy Geranium. 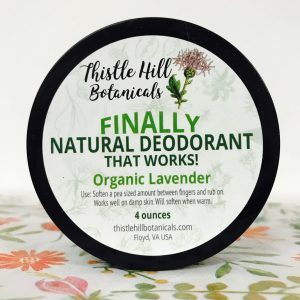 These two essential oils blend wonderfully together! Colored with a plum colored pure clay that is great for the skin. *La Vie En Rose – An intoxicating blend of many roses. Colored just a bit with ultramarine. *Juicy Citrus – The top note is Orange with a bit of Sweetness. Juicy Citrus contains Tangerine and other fresh citrus notes. Colored with just a bit of Turmeric! 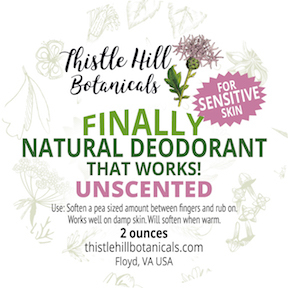 Our products are made with love by Thistle Hill Botanicals in Floyd, VA where the air and water is clean and there are more cows than people.